Wikitext, a game from developer and designer Kevan Davis, reimagines the Wikipedia rabbit hole as a text adventure game. Falling down a Wikipedia rabbit hole is already tantalizing enough, but what if navigating the website felt more like traveling through the blackness of space and happening upon various information-packed planets? Welcome ... to the Wikiverse. Did you know that Mariska Hargitay is a huge Hamilton fan? She'll have the honor of reading the prose portions of the audiobook version of Hamilton: The Revolution, and the musical's composer and star Lin-Manuel Miranda will perform the verse. Wikipedia is now deep into its teen years, fully explaining its insistence on knowing everything. With the online, user-edited encyclopedia passing 15 years old, the Wikimedia blog has put out a list of the most-edited articles of each year, as well as a list of the most-edited of all time (for the English-language site). Wikipedia is a great resource for all kinds of odd information, but it's often not particularly welcoming to women who want to participate in its elaborate editing process. But just talking about the problem isn't going to create more female editors—training women who are interested will. Not only can you play a lot of board games on your phone instead of with a board—no matter how many luddites complain that everyone is just tapping away on their phones—but linknotize is a physical board game that you actually play by... tapping away on your phone. Something wik'd this way comes. A decision was made this week by "Wikipedia's supreme court" to ban five editors who were attempting to prevent the "Gamergate Controversy" article from taking on a pro-Gamergate slant. The editors can not only no longer edit the Gamergate entry, but also any other entry having to do with "gender or sexuality, broadly construed." The tough duty of defending the editing of Gamergate Wiki entries for accuracy has fallen to Wikipedia founder Jimmy Wales, and he's handling it admirably. Jimmy Wales, was this what you had in mind? Available audio versions of large texts can be very useful for blind and visually-impaired readers, which is why text-to-speech software is so popular. You know what, though? That's not Wikipedia's style. They'd rather get people to record themselves reciting articles about whatever they want -- which makes for some strange subject material. Finally, the information of the Internet expressed in the native language of the Internet. There's a lot of information on the Internet, so it can be hard to know just where to turn when you want a concise explanation of any given subject. That's where TL;DR Wikipedia comes in. They take all of the "knowledge" and "facts" and reduce it to easily remembered, sarcastic flash cards. Man, the Internet is a convenient place to get a lot of information very quickly at the push of a button, but how can we take that and change it into a permanent, physical record that has pretty much none of those benefits? PediaPress has the answer, and they want to print all of the English language Wikipedia articles into 1,000 books. I'll admit, the first thing that springs to my mind when people mention organized Wikipedia edits is Wikipedia vandalism, perhaps because it's just a bit more exciting than the alternative. That is, getting a bunch of people together with viable sources and references and collaborating on expanding or creating Wikipedia entries on subjects that are often overlooked by the core community of Wikipedia editors. That's what Maia Weinstock and Anne Fausto-Sterling do every October 15th: they organize an edit-a-thon to improve the encyclopedia's coverage of female scientists. And it's that time of year again. Contributors to the massive online encyclopedia find themselves in conflict over how to define the recent events in Egypt. What's in a name? Kind of a lot, sometimes. Case in point: as supporters of the Egyptian military and those loyal to ousted former president Mohamed Morsi continue to clash in the streets, a smaller, safer clash has broken out in the pages of Wikipedia, where editors are debating whether to call this latest uprising -- which saw Morsi driven from office as the military seized control of the nation -- a coup or a revolution. That definition isn't just important semantically -- outside the hallowed halls of Wikipedia, which term is used could have real implications for U.S. foreign policy toward Egypt. In what seems like something straight out of an updated version of 1984, the Direction Centrale du Renseignement Intérieur, or DCRI, a French intelligence agency, apparently recently summoned and subsequently forced a Wikipedia volunteer to delete an article on the online encyclopedia. This came after the agency first attempted to get Wikimedia France to remove what it considered classified information from an article about a French military compound in March. They declined to remove the offending bits, so DCRI took more drastic measures. Caldwell Tanner didn't use HBO's Join the Realm website to create these unique House Sigils. Instead, he came up with his own designs for what popular websites might hang from their proverbial castle walls if they lived in the world of Game of Thrones. And we decided to join in on the fun. 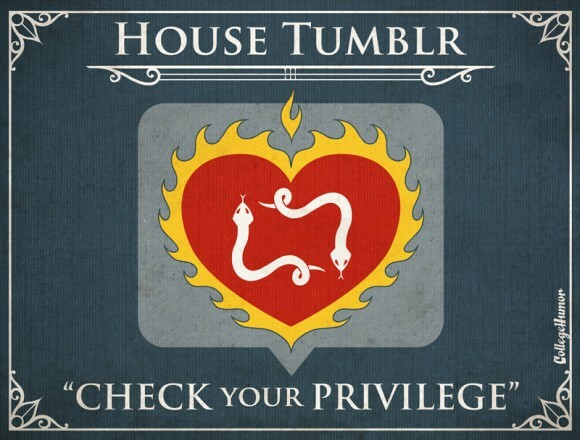 Look at the House Sigils and mottos from Twitter, Wikipedia, The Mary Sue, and more! Ok, I'm just going to say it -- the physicists at Aalto University may have a bit too much time on their hands, seeing as they've taken Wikipedia watching to a new extreme. 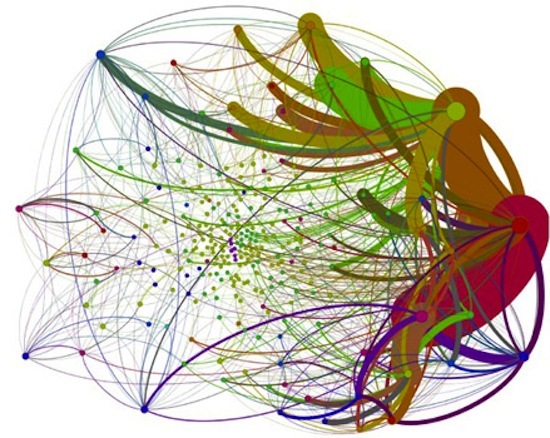 Working with researchers from around Europe, they've created the first known mathematical model of editorial conflicts in Wikipedia, which tracks the birth, life and occasionally even the resolution of the Internet grudge matches that determine what is fact on the Internet's number one repository of facts. 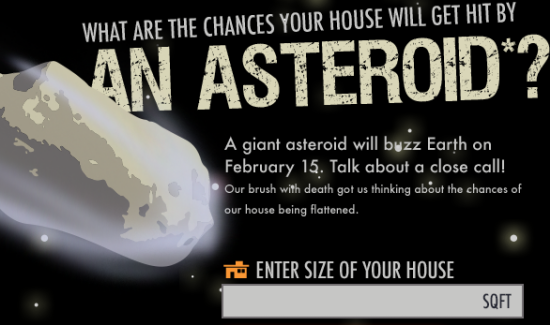 What Are the Odds an Asteroid Will Hit Your House? Tomorrow the 143,000 ton asteroid 2012 DA14 will pass a mere 17,200 miles from the Earth. What does that mean for you? Nothing. There's no chance of DA14 hitting the Earth. We'll all be fine this time around, but hundreds of smaller objects strike the Earth every year. Our friends at Movoto have a handy calculator to get the odds that one will hit your house. Give it a try, and you'll probably feel a lot better about the whole thing.